We reliably manage our customer’s proppant and well completion needs with logistic solutions that cover the entire supply chain. 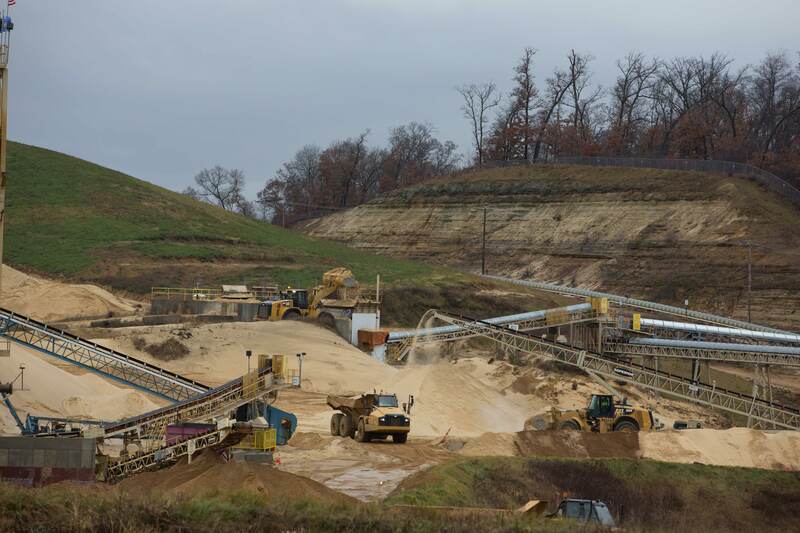 Source Energy’s facilities and rail network deliver quality Northern White proppant from our Wisconsin facilities into the WCSB. Our facilities are located along the Canadian National (CN) rail lines for direct access to our terminals. Northern White proppant is used by operators to achieve high production. We offer product flexibility for specific well requirements with proppant sizes of 20/40, 30/50, 40/70 and 100 mesh. Source Energy’s commitment to environmental sustainability starts at our mine and processing facilities. Our processing facilities are ecologically sustainable with closed-loop water systems that recycle water and eliminate the need for retention ponds. And we don’t stop there – our land reclamation process begins soon after mining activities conclude. At Source Energy, we continually look for new efficiencies in the supply chain to match current and future oilfield completion activities. Source Energy’s logistic solutions solve industry challenges in procurement and delivery of proppant and well completion chemicals. 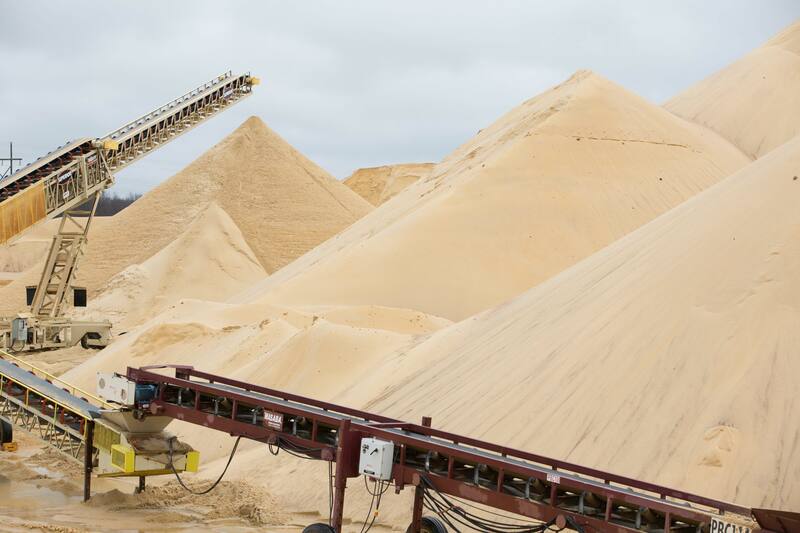 Our mines and processing facilities produce a reliable supply of Northern White proppant. 2 unit-train capable facilities handle the transportation up to 100 cars directly from our mine to terminals in the WCSB. Our 9 in-basin terminals ensures efficient and reliable delivery of quality Northern White proppant and well completion chemicals into the WCSB. We offer last mile logistic solutions including trucking delivery directly to the wellsite and Sahara proppant storage units. Source Energy has the largest network of owned and operated in-basin terminals in the WCSB. Our network of multi-product terminals ensures streamlined delivery of quality Northern White proppant and bulk well completion materials into the WCSB. 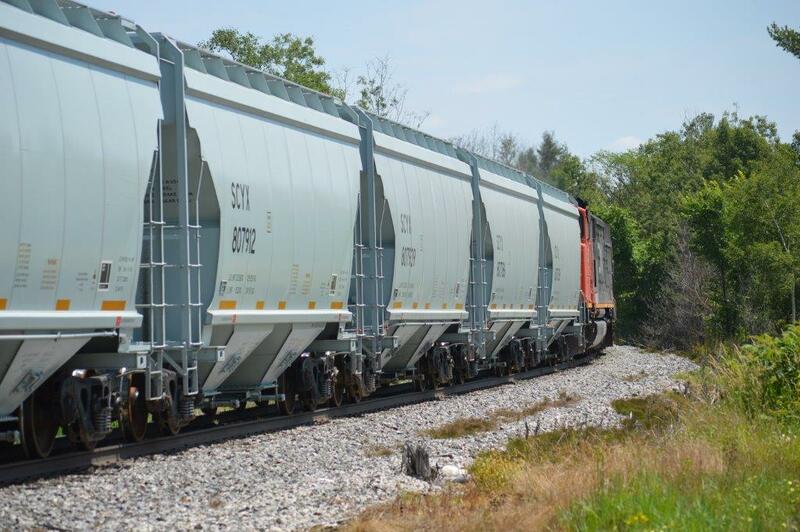 Our terminals have the advantages of location, capacity, rail cars, and inventory to ensure proppant is available where our customers need it, when they need it most. 9 strategically located terminals reduce delivery time to wellsites. 2 terminals are unit-train capable that can hold up to 100 cars on the track. Source Energy’s high-capacity terminals with over 5.7 mmtpa throughput capacity ensure security of product supply. Our service-driven dispatch team monitors uses real-time technology to monitor inventory and cycle times. At Source Energy, we continually look to the future and explore ways we can utilize our expansive infrastructure network to provide leading logistics, including well completion chemicals and crude-by-rail transloading services. Source Energy seeks to meet the evolving needs of the oil and gas industry, continually discovering and implementing new ways to maximize production in challenging, unconventional plays. 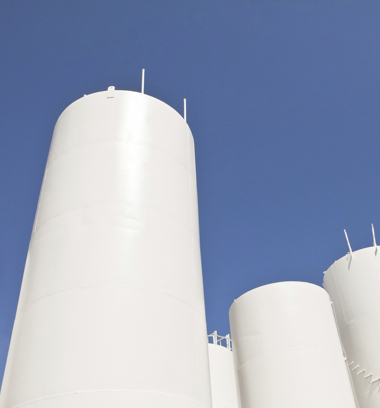 Our terminals in Red Deer and Grande Prairie, Alberta are equipped with chemical storage. These chemical logistics solutions are flexible and can be tailored to each customer’s well completion needs, including quick expansion of chemical storage when demand requires it. We utilize our resources and relationships with a fleet of specialized chemical transportation trucks that move chemicals directly from our terminals to customers facilities. Our team manages the logistics of well completion chemicals, so our customers can focus on their operations. At Source Energy, we go the last mile for our customers by offering dependable field solutions that deliver and store proppant directly at the wellsite. Source Energy sets the standard for trucking logistics with real-time analytics technology and the utilization of the best in class trucking fleets. Our trucking solutions reduce the risk of wellsite disruptions by offering cost-controlled supply of proppant as well as reliable inventory monitoring for continuous wellsite operations. Our service-driven dispatch team uses real-time technology that provides up to the minute analytics of inventory and cycle wait times. This cutting-edge technology enables our team to actively monitor the loading and unloading of proppant – helping our clients save time, money and manpower. We use our strong relationships with the best fleets across Western Canada to manage a network of over 200 third-party trucks for dispatch and delivery. Having delivered nearly 3 million tonnes of proppant over two years, our results are a testament to our expertise in trucking logistics. The Sahara storage units capture Source Energy’s last mile logistics by offering customers flexible proppant storage solutions. At Source Energy, we strive to find innovative improvements that optimize performance of our Sahara units to ensure smooth well completion activities. 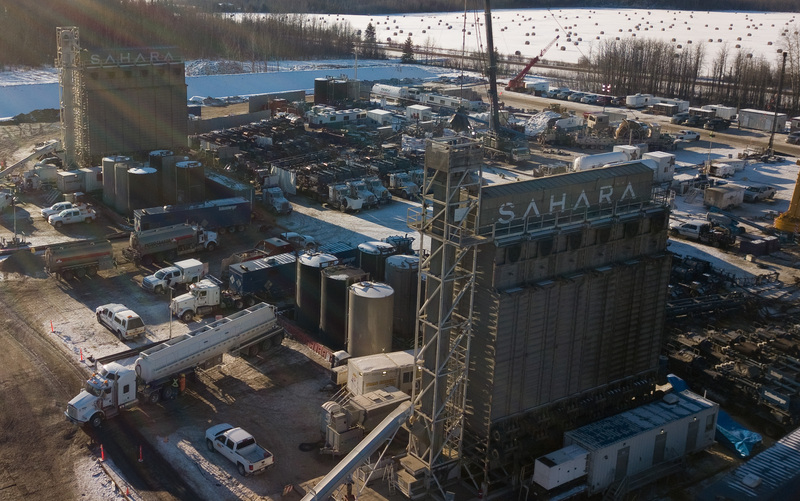 The Sahara’s compact and dynamic design enables operators to have on-demand proppant at the wellsite, reducing wait times for delivery and continuous operations. 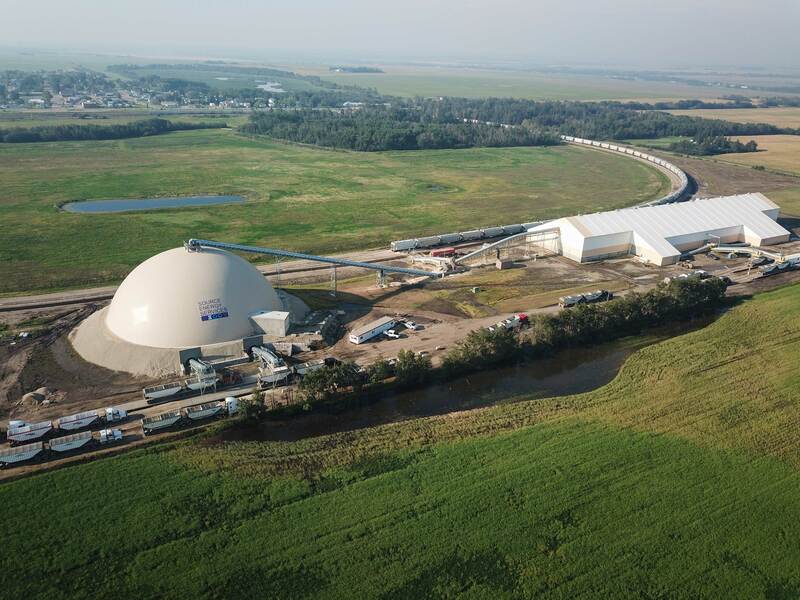 Our units have been trusted throughout Canada for over five years, and we are proud to now offer the same flexible proppant storage solutions to customers in active basins across the United States. Servicing Canada and the United States, we’re here to tackle your biggest wellsite challenges.